Non-competes protect you from having your ideas stolen and used to compete with you. You may ask new employees to sign a non-compete agreement stating that they won’t work for the competition for at least a year after they leave your company. Or you may have a contractor sign a non-compete that they won’t also work for your biggest competitor. Who needs to sign what agreements? Just over a year ago, we worked with a customer who needed more flexibility in the legal agreement function of The Receptionist for iPad. Specifically, they wanted more than one legal agreement per check-in button as well as different agreements for different buttons. It wasn’t something we’d thought of before, but now that we look back on it, the need is so obvious…because you have different kinds of visitors with different legal requirements! Now, our customized workflows make it easy to make sure your visitors sign the right agreements…or not. For example, some members of The Receptionist family have an Interview or Vendor button to rout visitors at check-in. Those two types of visitors might need to sign an NDA, but probably not a non-compete agreement. If you’ve gone ziplining, skiing, or taken a martial arts class lately, you’ve probably signed a liability waiver, aka a release of liability. This agreement protects a business from being held responsible if someone gets injured while performing an activity like those listed above. Note that liability waivers don’t get you off the hook in terms of safety. And not all states enforce them equally. So, before you implement a liability waiver, be sure to consult a legal expert in your state. You may have certain safety rules that everyone in your building must follow. For example, in many manufacturing facilities, visitors must wear hard hats and boots, as well as be aware of other safety regulations, such as prohibitions against smoking. By signing a safety agreement, visitors acknowledge that they are aware of and will abide by these rules. With The Receptionist for iPad, you can even require visitors to watch a safety video before setting foot on the plant floor. Fitness centers, cigar clubs, business associations — these are just a few examples of organizations that are open to members only. A membership agreement lays out what the organization provides to members and what it expects in return. 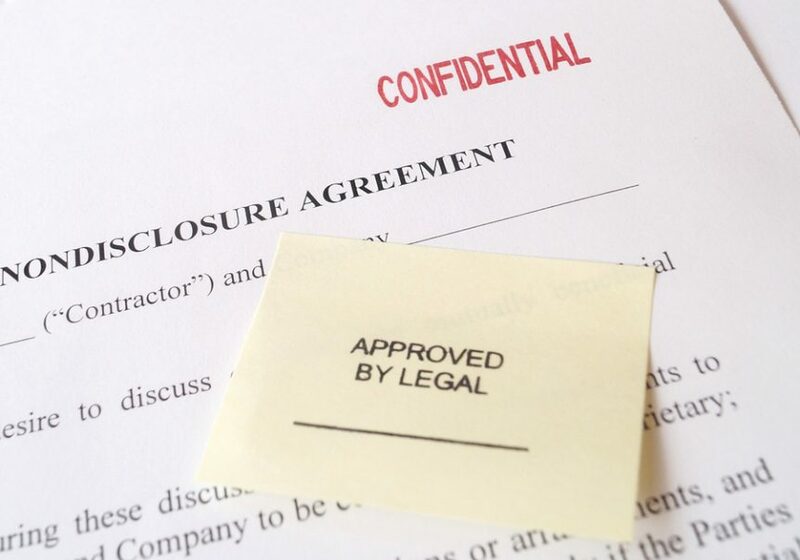 As we dig into enhanced security features, what we’re really learning is that legal agreements are living, breathing documents. You’ll want to ensure that yours are updated regularly and that your visitors sign the most recent versions. When you use our returning visitor feature, you can both keep the already signed agreement on file for each visitor as well as have them re-sign or re-view your video each time you make an update to your legal agreements. We’d love this to be the start of a conversation about security. What are your greatest challenges and concerns? What steps are you taking to secure your people, premises, and information? And, most importantly, how can we help? If you have any thoughts about these issues, please email us at support@thereceptionist.com. We look forward to hearing from you! The Receptionist for iPad makes it easy for your visitors to sign NDAs and other legal agreements. Learn more about this feature and sign up for a free trial today.